Almost five years after its initial release, Broken Sword 5: The Serpent’s Curse has found its way to Switch. It’s almost like the game has gone full circle; it originally released in December 2013 on PlayStation Vita, a touchscreen console. And after getting ported to PlayStation 4 and Xbox One in 2015, it finds its latest home back on another touchscreen console – this time, the Nintendo Switch. 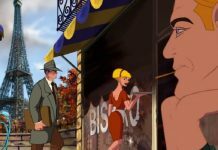 If you’ve played Broken Sword 5 before on one of its numerous releases, there isn’t much here to warrant dipping in again. 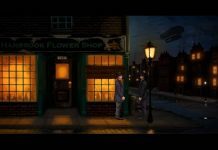 But if it has been a while since you’ve spent some time with George and Nico, or are somehow yet to play this fifth entry to the legendary point and click series, the Switch is as good a place as any to jump in. The game itself remains exactly the same. This isn’t a “definitive edition” of any sort; it’s the same Broken Sword 5 that’s on every other format. There is some bonus content in the form of developer videos, and we’ll come to those later, but in terms of in-game content, there isn’t anything new. Not that that’s a bad thing, mind. 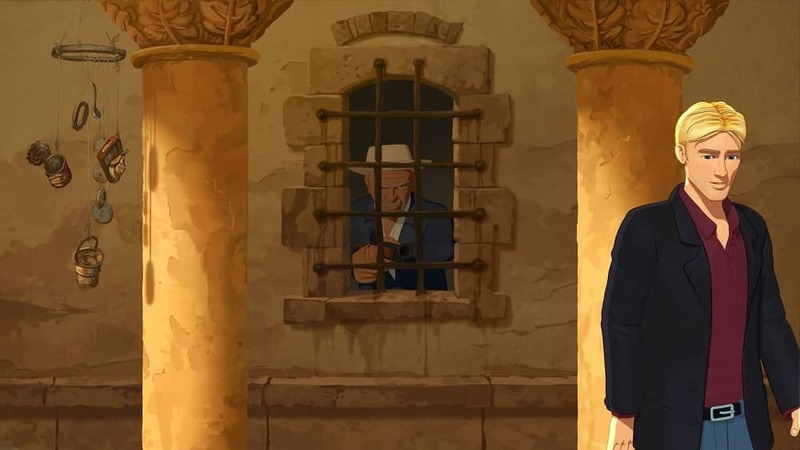 Broken Sword 5: The Serpent’s Curse remains as strong a game as it’s ever been. I haven’t played the game since its release on Vita the best part of five years ago, so my memories of George Stobbart’s adventures are hazy at best. But it feels just as fresh and modern as it ever did. It’s a timeless game, one that narratively and graphically remains just as relevant as ever. Its gorgeous hand-drawn 2D visuals look crisper and sharper than ever on the Switch’s screen. Playing in docked mode, things perhaps look a little hazier than they do on PS4 or Xbox One, but it’s still a beautiful game. The talent at Revolution shines through in every scene. 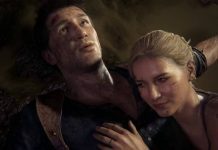 When we reviewed the Xbox One release of The Serpent’s Curse back in 2015, our main complaint about the game was that its story was a little weak compared to George’s original adventures in Broken Sword 1 and 2. 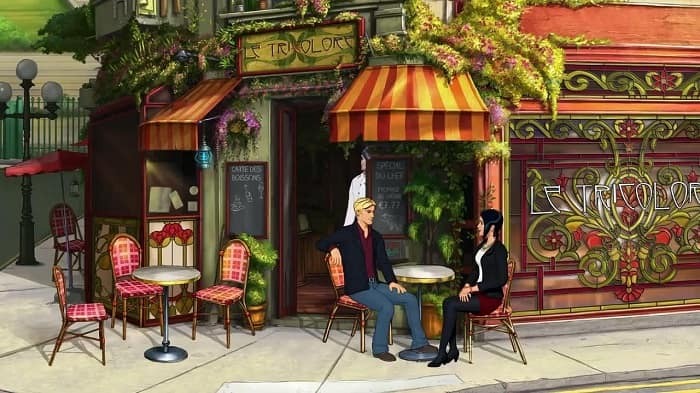 That may remain to be true – not much is as thrilling as a conspiracy revolving around the modern-day Knight’s Templars after all – but revisiting Broken Sword 5 again reveals a story that’s worthy of its own merits. Here, George finds himself in the midst of a robbery in an art gallery. The gallery owner is shot dead, and the culprit – a biker disguised as a pizza delivery man – has made off with a mysterious painting, La Maledicció. And so ensues George and Nico’s adventure: a journey across Paris, England and Spain to uncover the secrets of the painting and just why it was worth killing a man over. 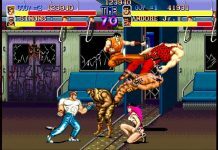 Of course, this is a point and click game, so don’t expect any high-octane action sequences. 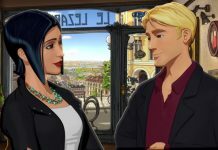 Broken Sword 5: The Serpent’s Curse is, for the most part, slow-paced, allowing you to solve puzzles, interact with characters and mull over your inventory in your own time. Largely, it’s all the better for it. The environments are absolutely sumptuous, and so it pays dividends to take your time and soak it all in. Of course, the voice acting is on-point, too. The legendary Rolf Saxon reprises his role as clumsy American George Stobbart, as witty and lovable as ever. French reporter Nico Collard is voiced by newcomer Emma Tate, but she does a fantastic job of capturing Nico’s spirit and personality. There’s a host of additional voices too, all excellently acted. 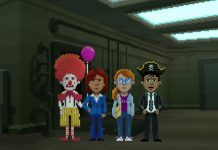 The only minor niggle is Broken Sword 5 includes a number of cameos from characters we’ve met in previous games, including Lady Piermont and Duane Henderson. None of them are voiced by their original voice actor. It’s not a major misstep, but if you’re very familiar with the franchise it can be a little jarring to see familiar faces with unfamiliar voices. 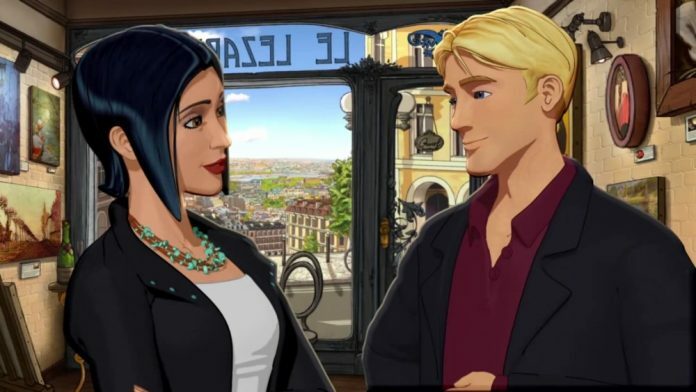 As an experience on Nintendo Switch, Broken Sword 5: The Serpent’s Curse boasts a “reimagined user interface”. But honestly, it’s a little disappointing. You can switch between touch screen controls and the Joy-Cons at leisure, but the touch screen feels a little clunky and less intuitive compared to standard controls. Using the Joy-Cons, you control a cursor with the analogue stick. Whenever your cursor runs over something you can interact with, the Switch rumbles, and the icon changes. In touchscreen mode, there’s no cursor; just your finger. It means you need to know where to click, with no prompts to tell you what you can interact with. The highlight of the Nintendo Switch package, though, is the addition of bonus developer videos. There are ten altogether, which unlock periodically as you progress through the game. In them, you’ll see members of Revolution discussing the development of the game, providing interesting insights into the creation process. For fans of the series, it’s absolutely fascinating, and getting to see rare early artwork for the game is wonderful. Whether those videos alone are enough to make you splash out for the game on Switch, though, is up to you. Broken Sword 5: The Serpent’s Curse is as good as it has ever been, but if you’ve already played it on one of the numerous formats it’s already available on, it’s probably not a high priority to play again. It has reminded me of just how good this series is, though. As much as I’ve enjoyed playing The Serpent’s Curse again, it’s high time George and Nico had a new adventure. Broken Sword 5: The Serpent’s Curse is available on PC, PS4, Xbox One and Nintendo Switch. We reviewed the Nintendo Switch version.